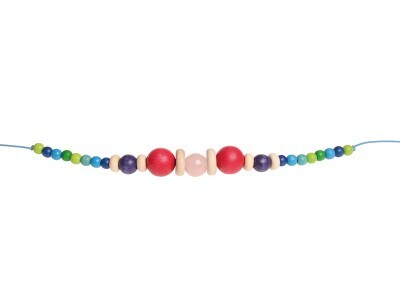 Pram Chain with natural wooden discs and blue, green and red wooden beads and with a Rose Quartz bead. 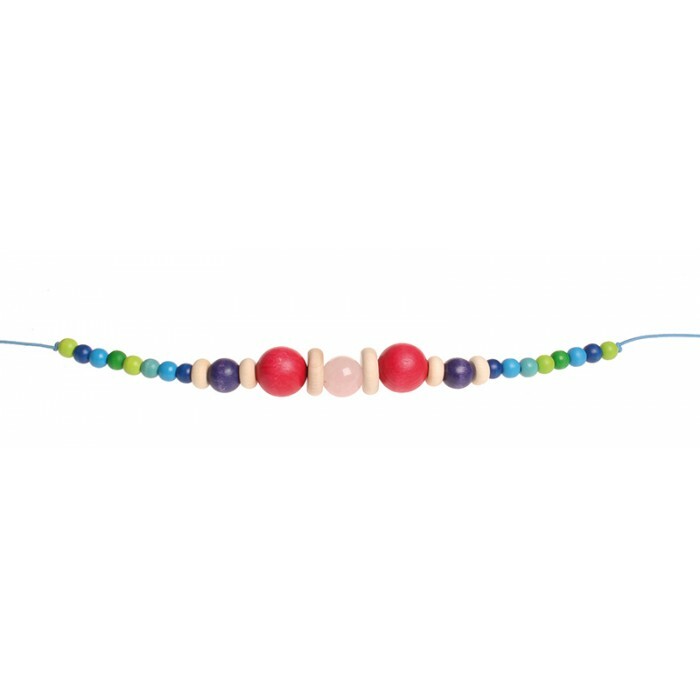 This is a nice contrast to the wooden beads: the stone is cool and gives the children a different sensory experience. Materials: Rose Quartz, maple wood, non-toxic water based color stain.